Women from Venus, Men from Mars, and Krispy Kreme from Greenhills! There are times that sometimes I feel like Iâ€™m a freak of nature, being able to pass up â€œgirly stuffâ€ without being a stereotyped lesbian. I donâ€™t like spending hours on make-up (well, Iâ€™m allergic), and I particularly like â€œboy sportsâ€ like basketball, soccer, baseball and track instead of girl-dominated ones like volleyball (sorry hon hehehe). I only go to the bathroom to pee. And I say what I want directly instead of resorting to hints that some girls usually do with their boyfriends. Well, I guess thatâ€™s what I get for hanging out with four boys almost every single day in my college life. We were required to specialize on a specific minor back in college (itâ€™s part of our course, BS Communications Technology Management), so I got to hang out with the boys more than my girlfriends. I took IT as a minor, and I must admit, there were very few girls in that track. My girlfriends took marketing or communication, so there. I was stuck with the boys. Coming from a Catholic all-girls school, I couldnâ€™t help but see the distinction of hanging out with the boys and spending time with the girls. Though Iâ€™ve always been boyish for god-knows-how-long, hanging out with guys was very different. There are things about them that really pissed me off at first, but eventually got used to (like I have a choice! Heh). I guess you can say that Iâ€™ve been â€œblessedâ€ to be able to â€œwalk both worlds.â€ Marc and I usually argue because of stubbornness, but rarely on miscommunication. If I wanted coffee, I tell him I want coffee instead of dropping subtle hints (that would most likely be unnoticed anyway) of wanting to get coffee. Yeah, I learned that from my guy friendsâ€”they told me once to â€œstop being a girlâ€ and just say what I wanted to save them time from guessing. I would also have to agree with Lauren that women do have a tendency to over-analyze thingsâ€”especially when it pertains to a guy they liked or a guy they think likes them. We women tend to analyze every single detail, even things as simple as opening the door for us or bringing us home. And this, I think, is one of the major issues that come up in girl-boy misunderstandings. Having four straight â€œbig brothersâ€ taught me this important lesson about guys: you shouldnâ€™t read too much from their actions. If a guy opens the door for you, it doesnâ€™t necessarily mean he liked you as more than a friendâ€”thereâ€™s a big chance that he could just be a gentleman. They might worry about you getting home safely, but that doesnâ€™t necessarily mean theyâ€™d want to get into your pants or marry you or somethingâ€”theyâ€™re probably just worried about their friend (you) getting home safely. Sometimes they seem to do things that make you feel youâ€™re special, but most often than not, they could also be doing the same for any other girl they consider a friend. I have to admit that I had my share of over-analyzing myself. Honestly, itâ€™s fun 😀 I remember talking over the details of my first date with Marc to my girlfriends back in college (and yes, the â€œanalysisâ€ made me giddyâ€”a rare occurrence for the un-romantic me), and going to my guy friends for a direct-to-the-point perspective whenever Iâ€™m back to earth. I honestly donâ€™t think anything is wrong with this â€œgirly habit,â€ but it can become destructive if done excessivelyâ€”being too assuming could eventually get you in hot water, or even make a total fool of yourself. But then, I still donâ€™t think I can claim understanding guys fully. There are some things that I still canâ€™t make sense of, but I just shrug them off to save me the headache. I have better things to do with my time than worry about them, like work, my sister, or my parents. Women are definitely from Venus, and men are from Mars. There really are things (other than the obvious physical differences) that make us different from each other. But, in my humble opinion, such differences donâ€™t need to always be a hindranceâ€”you just need to realize that not everything is about you, and actually listen to what the other has to say. Well, thatâ€™s what I think at least. What do you think? 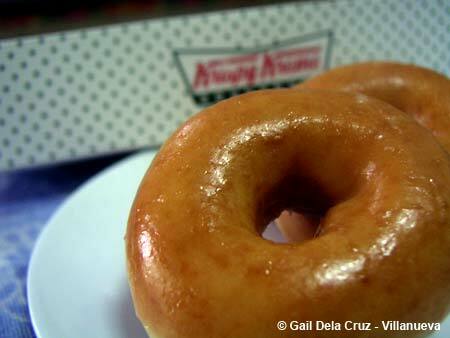 I wasnâ€™t kidding when I said that Krispy Kreme is from Greenhills, it wasnâ€™t just a ploy to get your attention. Well, partly hehe 🙂 Seriously though, Krispy Kreme is opening a new branch at the Greenhills Shopping Center in San Juan, Metro Manila. What makes this branch special is the fact that itâ€™s going to be the first drive-thru outlet in Asia. So if youâ€™re a busy person who lives near the area (and you have a car), you might want to consider dropping by the outlet after it opens on the 28th of June. As usual, Krispy Kreme would be giving away freebies on its opening day. The first customer to ring the cash register for dine-in and drive-thru will each win a free one-year supply of Original Glazed doughnuts (imagine stuffing yourself with doughnuts for an entire year!). Aside from gift certificates, theyâ€™re also giving away novelty items for the first 300 customers. The opening starts at 9am, so if you want to grab one of these freebies, be there on the 28th before everyone else does. Special thanks to Blooey for the doughnuts! My family devoured it to bits within the day. 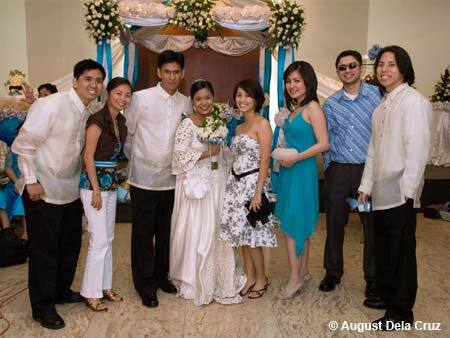 This entry was posted on Friday, 22 June 2007 at 6:33 am and is filed under Filipino Culture, Food, Musings. omg. i totally agree with you like 100%. I have 3 very close friends who happen to be guys, and its turned me into a guys girl…but its also made me realise that over-analysing drives you insane. thanks for saying what i am always thinking.